Tanishq wins Brand of the Year! 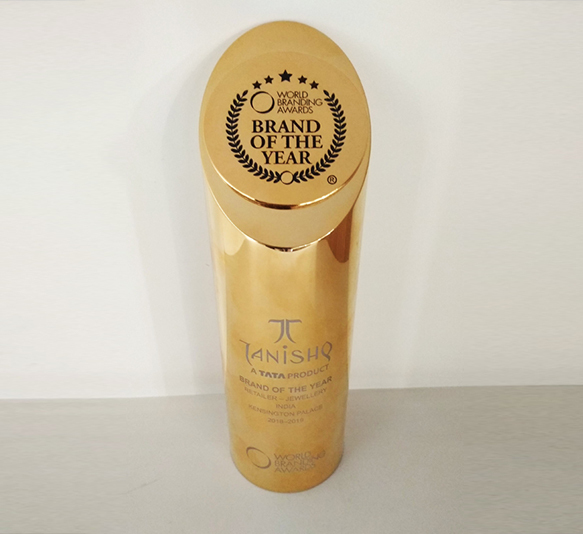 Tanishq has won the ‘Brand of the Year’ at World Branding Awards in London. The 2018-2019 World Branding Awards took place at Kensington Palace in London, on 31 October. The World Branding Awards is recognised as the ultimate global brand recognition accolade and Tanishq is the only brand in the category from India to be selected for this year’s Awards. Here’s to adding another feather in our cap. For more information please visit https://awards.brandingforum.org/.